Residential Property Management and Leasing in Scottsdale, Phoenix AZ and Surrounding Communities Since 1974! 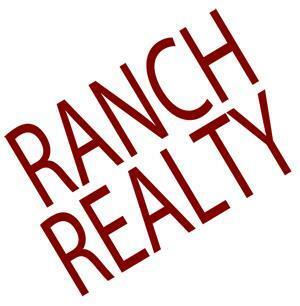 Ranch Realty is a family owned and operated Residential Real Estate and Property Management Company, doing business in Scottsdale, Arizona since 1974. Ranch Realty offers Sales, Leasing and Property Management Services for residential properties in Scottsdale, Phoenix, Paradise Valley, Tempe, Cave Creek and Carefree Arizona. Ranch Realty caters to residential real estate owners and investors, as well as owners of unfurnished long-term rentals and furnished short-term vacation rentals. Our management team has over 40 years of experience, and our Property Managers are licensed real estate agents. Ranch Realty Property Management specializes in marketing of vacancies, tenant screening, credit and background checks, detailed move-in and move-out inspections, property maintenance and repair. Ranch Realty provides superior Residential Property Management Services to owners & investors, helping them achieve their investment property goals, while providing renters with the best possible choice in housing. With 40 years of residential Property Management experience, Ranch Realty will manage your single family home, condominium or town house with the expertise and professionalism you deserve. Contact Ranch Realty Property Management today to discuss your individual needs with our professional Property Managers, Sales and Leasing Agents at 480-991-4000.